Looking for a job in Walker County Georgia? 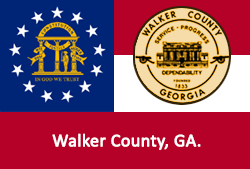 Worklooker's Walker County job directory provides employment resources for job seekers. Please visit the links below to view current open positions. Walker County is a good resource to monitor. A survey of open positions available had included Employee Payroll & Benefits Administrator, Codes Enforcement, and Landfill Manager. Visit their site for current postings. Fort Oglethorpe is a fascinating city with a history rich in local and national color. Periodically open positions become available. During this review there were employment listings for City Manager, Chief of Police, Building Official / Planning and Zoning, and a Public Works Department Job. Check for updates. The City of LaFayette is the county seat of Walker County with a rich historical Native American and African American heritage. On this review date there were job openings for Volunteer Firefighter, Patrol Officer, GIS Analyst CAD Operator, Garbage Truck Driver, and an employment application was available. Walker County Chamber of Commerce is a great resource to use for exploring area businesses, economic climate, workforce information, and more. Chickamauga & Chattanooga National Military Park is managed by the National Park Service. Jobs periodically become available. Applications for jobs with the National Park Service are accepted via USAJOBS. The Worklooker Chattanooga Tennessee directory is a great resource for Hamilton County opportunities. CHI Memorial Hospital Georgia is a not-for-profit, faith-based hospital located in Fort Oglethorpe, Georgia. Here you'll find job openings such as Lab Support Tech PRN, Laboratory Medical Technologist, Medical Laboratory Technician, Full-Time Medical Technologist, Medical Technologist PRN, Monitor Technician PRN, Nurse Manager Emergency Department, Patient Care Tech PRN, Full-Time Patient Care Tech, Per Diem Nursing Jobs, Revenue Cycle Generalist, Registered Nurse RN Emergency Department, PRN Nursing Jobs, Full-Time Registered Nurse, Security Officer, and Patient Sitter. For over 45 years, PruittHealth has ensured the peace and mind of its patients, residents, clients and their families through its commitment to quality health care. Opportunities found in LaFayette included Activity Director CNA, Certified Nursing Assistant CNA with sign-on bonus, Cook, Financial Counselor, Floor Technician, Housekeeping Jobs, Licensed Practical Nurse, LPN Full-time $1000 Sign-on Bonus, Nurse Supervisor RN, Registered Nurse Jobs, Speech Language Pathologist PRN, and Physical Therapist. Primary Healthcare Centers is dedicated to improving the health status of its patients and community by providing accessible, affordable, quality health care services to everyone, regardless of ability to pay. Dialysis Clinic Inc. periodically posts open positions. During reivew there was an opportunity for a Medical Billing Specialist. Compassus provides a range of home health, hospice and palliative services and other resources to benefit patients and families. Compassus was hiring for the positions of Clinical Liaison (Hospice) and Registered Nurse Case Manager. Lookout Mountain Community Services (LMCS) has been providing mental health, substance abuse, and developmental disabilities services to individuals since 1965. Here you may find open positions such as Psychiatrist, Nurse Practitioner, Licensed Behavioral Health Provider-CST, Substance Abuse Counselor-CACII, Certified Peer Specialist, SST 3-Recovery Services, Nurse RN or LPN, Behavioral Health Counselor PT, Vehicle Operator, Child and Adolescent Counselor, Care Coordinator CME, Human Resources Technician, Kaleidoscope Chickamauga-SST, Kaleidoscope Chickamauga-Instructor, Kaleidoscope Employment Specialist, and Customer Service Representative (Multi Site). Walker County Schools frequently has open positions for teachers and support staff. During this review there had been openings for School Custodian, Substitute Teacher, Substitute Cafeteria Workers, High School Paraprofessional, Elementary Teacher, and High School Teacher. Check for new listings. The Chickamauga City School System is composed of three schools. Chickamauga Elementary School serves grades kindergarten through five; Gordon Lee Middle School serves grades six through eight; and Gordon Lee High School serves grades nine through twelve. The system has a current enrollment of 1,324 students. The YMCA employs staff members to carry out its mission through programs and services held in the Northwest Georgia region. Staff are needed year-round, but many positions are seasonal and the YMCA's needs change frequently. TeachGeorgia is the official state database of all certified position vacancies in Georgia public schools. Visit the Walker County Sheriff's Office recruiting page for information for how to become a Detention Officer, Deputy Sheriff, or Detective. Detention officers who have been with the department for a period of at least six months may be eligible to attend mandate school to become a certified deputy sheriff. An officer must have at least two years road patrol or other related investigative experience to become eligible for being promoted to the position of detective. This is a continuously updated jobs resource for the state of Georgia. Be Work Ready is designed to help unemployed Georgians jump start their job search, improve their core job skills and, ultimately, give them a competitive advantage in the marketplace. Home Depot located in Fort Oglethorpe frequently hires for positions such as Customer Service/Sales Associate, Cashier, Delivery Driver, Receiving Clerk, Merchandizing, and Repair and Tool Technicians. Lowe's Home Improvement offers employees an engaging workplace, competitive benefits and wages. Kmart is a part of Sears Holdings Corporation. Jobs are listed on their site. Dollar General Market is a fast growing company with ongoing opportunities for positions such as Sales Associate, Shift Supervisor, Food Manager, Receiving Associate, and more.